A new safety initiative from the National Park Service offers participants online self-study videos that examine the objectives taught in the Park Service Operational Leadership training. It’s an approach that focuses on the mindset needed to work safely, not a cookbook on how to use a tool. 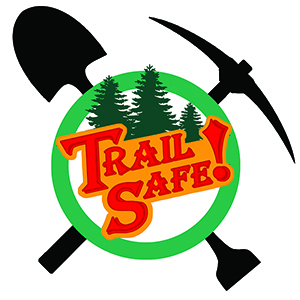 Take a look at the NPS IAT website and scroll down to the Trail Safe! feature to find the link. Start at the beginning and complete the Training Verification Roster back at the Trail Safe! home page, and you’ll receive a pin and other info from NPS. Also be sure to keep track of your time spent and report it to the chapter to be sure we capture your volunteer hours. Questions about the series can be directed to Dan Watson.